B.C. 's real estate council has handed a 45-day suspension to an agent with a firm at the centre of a debate that transformed regulation of the province's real estate industry. 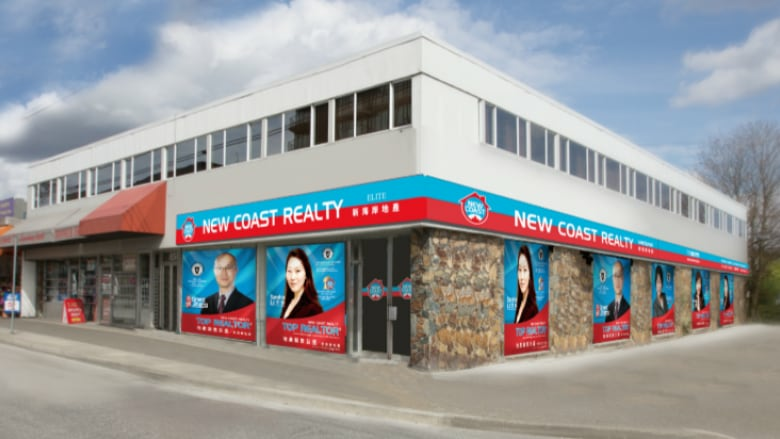 New Coast Realty licensee Jing (Sandra) Li has also been ordered to pay $10,000 in fines as well as an additional $10,000 to pay the cost of the council's enforcement expenses. According to a consent order posted on the real estate council's website, Li was reprimanded in relation to misconduct revealed through a series of transactions in 2014 and 2015. Li admitted failing to supervise an unlicensed assistant who was providing real estate services on her behalf. An investigation revealed that the assistant was paid more than $21,000 in commission on one of the sales. Li claimed the payment wasn't in exchange for real estate services, but because she wanted to assist her helper "with the financing of her purchase" of a property. The council's documents also claim that three of the files concerned purchases involving a director of New Coast Realty — identified in the consent order as Z.W. In one of them, Li failed to prepare documents disclosing to the seller of a $3.8 million house in Richmond that the buyer who she represented had actually assigned the contract to purchase the home over to Z.W. In another, Li acted as the buyer's agent for Z.W. for the purchase of a $1.6 million home in Richmond. But she failed to draft an addendum revealing that her boss had assigned the contract to purchase the house over to her. The consent order says that Li was also reprimanded for failing to disclose a $3,750 referral fee paid in relation to the sale of $2 million home in which agents for New Coast realty represented both the sellers and buyers. According to the documents, Li also failed to disclose to the seller "in a timely manner" that she and another agent would be splitting a $27,750 commission until more than six months after the sale had gone through. In a statement, Rosario Setticasi, the chief compliance officer for New Coast, noted that none of the files came as the result of a consumer complaint and that five were opened following an internal audit by the real estate council. The company says that where non-compliance with records and documentation were identified, "they were quickly remedied." "Sandra Li is one of the leading realtors in the Lower Mainland," the statement said. "Year after year, Sandra represents hundreds of buyers and sellers who trust and are pleased with the professional services provided by Sandra and her team." In 2016, the Real Estate Council of B.C. commenced an investigation into New Coast's operations after reports in the media about the practice of "shadow flipping" — in which agents allegedly pocketed multiple commissions on the same property through the assignment of a contract for a higher price before the finalization of a sale. At the time, the company issued a rebuttal of the allegations and claimed that it followed all necessary rules and regulations. The controversy ultimately sparked a public discussion that led to the provincial government's decision to end self-regulation of the real estate industry. According to the real estate council, Li was disciplined under the old regime because the misconduct occurred prior to the new rules. The old maximum fine was $10,000; it has since been raised to $50,000. Li did not respond to a call for comment.